Relationships have changed a lot with our dogs over recent years and most if not all people these days consider their dog as an irreplaceable member of the family unit. Now that we are finally catching up to our canine companions, dogs are no longer the smelly fringe dweller being squeezed into the boot of the family station wagon, rather these four-legged furry family members are slowly edging toward the centre of our lives. As a natural consequence of this change, we as caretakers, guardians, owners, and family have a much higher expectation for our dogs’ health care. Health problems with your dog can arise swiftly and sometimes without warning. One day you could be soaking up the sun at dog-park while he chases wild rabbits, and by the next you could be in the veterinary hospital needing life-saving surgery for your dog. While we all know veterinary care is a fundamental expense for our dogs, vet costs have risen dramatically in the past decade especially when it comes to emergency and specialty care. Due to new technology, new medications and new surgical procedures vets can do so much more for our dogs that can save and improve the quality of their lives. As the medical treatment for our dogs advances and becomes better equipped to deal with more demanding and sometimes unusual cases, dog owners can expect to be presented with options for their dogs ongoing health care where once there were none. So, we put the question to all dog owners out there, would financial constraints limit the amount or quality of care your dog can get? One way to help reduce the cost of veterinary care is to purchase pet insurance. 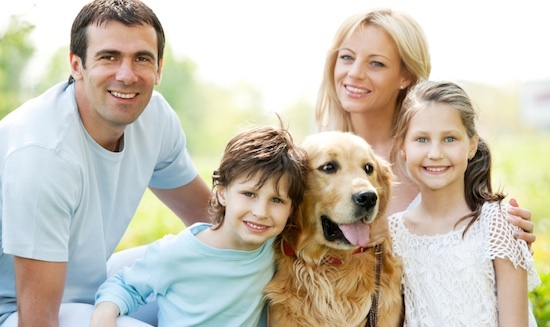 For the cost of a monthly premium, your pet will be covered to some extent in the event of illness or an accident. With most pet insurance policies, vets are typically paid when services are rendered, then you file a claim and you will receive reimbursement from the pet insurance company at a later date. Pet insurance is relatively new and most pet owners have not jumped onto the pet insurance bandwagon yet. In fact very few dog owners have pet insurance. However, for the patients that do, the insurance is usually a godsend saving the owners from the large expense of an unexpected catastrophe, or even worse the prospect of not being able to provide their dog with the care he or she needs to recover. Doggle personal profile pages, provide a very handy tool which enables you to electronically store valuable information about your dog, his veterinary and emergency care visits, pet insurance, receipts for claiming, even information on a particular health condition and how best to manage it, can all be kept in an electronic file, that only you have access to. Click here to learn more about this tool. Submit your question in the box below and a vet will respond to you. If your dog has been in an accident, shows clear signs of distress, or any uncharacteristic behaviour, take your dog to your family vet for a full examination. Q: My Dog Is On Heat! Q. My dog is on heat & I suspect a male dog may have nailed her. How long after her heat can I get her spayed? Oh no! This is actually a very frequent question. The first thing to check is whether she is actually pregnant. After 3 weeks, your veterinarian can palpate the abdomen to try to feel if she is pregnant. There are also other urine/blood tests available as well as imaging for more certainty, but each can only be used at certain times. Your vet will be able to guide you through these options. If your girl is pregnant and you don’t wish to continue with the pregnancy, she can be spayed. Your veterinarian should be able to cover the increased risks of desexing at that stage. Alternatively, you could choose to continue with the pregnancy and she can be desexed after the puppies have been weaned. If your girl is not pregnant, we recommend waiting 2 months after the heat before desexing. The reason for this is that this gives time for the changes of the uterus during heat to reverse. During heat, there’s increased blood flow to the uterus and the tissue becomes more fragile, so it has much higher risks of complications. We want to make surgery as safe as possible. 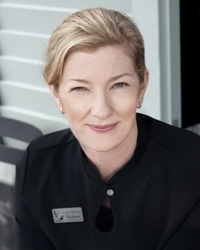 Hello, I'm Megan Alderson and my veterinary clinic, The Strand Veterinarian, is a dream 18 years in the creating. I graduated with a Bachelor of Veterinary Science in 1992 from Massey University and have spent my career working in veterinary hospitals all over the world. 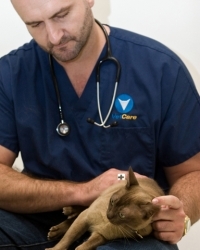 Alex built VetCare in 2004 and is proud of the advances the clinic has made in animal health care, and all the people and pets helped since that time. He loves all things to do with the ocean from diving, surfing and fishing to sailing, and most other sports including boxing and kickboxing. Alex and his wife Karla welcomed a little bundle of fun into their family this year, a baby son, Darius.